When visiting Walt Disney World Resort, I am usually with my family, and being the “good” mom that I am, I’m always making sure that everyone is happy and getting to do what they want to do on vacation. I do try to squeeze in some of my own “musts” while we are at Disney, but I tend to put others first. Well, this all changed while I was on a solo trip with friends during the runDisney Princess Half Marathon Weekend in February. I flew down from Ohio alone and met up with a friend at the airport before we rode the Magical Express to Disney’s Polynesian Village Resort – our home away from home for the long weekend. Of course, the four of us planned our Advanced Dining Reservations 180 days prior, and I agreed to go to quite a few restaurants that I had never been to before. We also made our FastPass+ plans, and a few days before we arrived, we even managed to grab a Flight of Passage FastPass+. So with all of the planning complete, it was time to have fun without the family – but a different kind of fun. You may recall in my most recent WDW Tip of the Week post on “Stepping Out of Your Comfort Zone” that I started to wear Mickey Mouse Ears in the parks. Well, that definitely continued on this trip as we all wore our Rose Gold Minnie Mouse Ears everywhere we went! After running in the morning (after all, it was a runDisney event weekend), we would shower and head off for our daily adventure in our Minnie Mouse Ears. • Arrived at Disney’s Animal Kingdom via a car and parking lot – we’ve always taken Disney‘s complimentary transportation, so it was weird to get out of a car and try to remember where you parked after spending time at AK. • Trader Sam’s magical chair – I laughed so hard I cried! That’s all I’m going to say, I don’t want to spoil it for anyone! • Character Stops during the 5K – My Friend Jennalyn and I stopped at all of the characters stops except two! A new record for me, and it was so magical shared with a friend! • Twilight Zone Tower of Terror – front row, center! Check out my detailed review below! • Disney Visa Card from Chase Photos – not sure why I have never done this before, but I will definitely check them out while at Epcot and DHS! The first one was with Kylo Ren at Star Wars Launch Bay, as you can see from the photo below we could not contain ourselves from laughter! We also stopped at the one in Epcot and visited with Minnie Mouse! • Light Saber Training – At the Star Wars Launch Bay we asked a Cast Member if we could use her light saber in a photo, not only did she let us pose with it, but she gave us instructions on the proper use of it. • Breakfast in Epcot’s World Showcase Norway Pavilion at the Akershus Royal Banquet Hall – My friend Jennalyn asked for Mickey waffles, when they asked how many she replied 12! We ate all 12 plus the rest of the buffet entries! • Dinner at Cinderella’s Royal Table – This was a fun experience shared with friends. We even made our wishes with our special wands. • Hoop Dee Doo Musical Revue – Yes, another dining experience with friends. It was a fun filled experience. • Ferry Boat from Disney’s Wilderness Lodge to Magic Kingdom – I’ve taken many watercraft while on property, but not fromWilderness Lodge! • Corral B! Front row! • Dinner at Todd English’s bluezoo – I enjoyed an evening out with friends as we celebrated completing the Princess Half Marathon events. • Photos of runDisney medals outside Cinderella Castle at Magic Kingdom – I’ve always enjoyed seeing everyone’s photos holding their medals in front of the castle. In the past we usually are headed back home after the final event. This was fun and we loved our photographer! • Made the runDisney Princess Half Marathon 10K recap! – Watch closely as it goes by fast, we’re wearing pink tutu’s. • Back stage exit of Magic Kingdom to avoid crowds waiting for Happily Ever After Fireworks Show. – I’ve been “back stage” before, but this was a fun way to escape the crowd along Main Street, U.S.A.
• Rode Magical Express alone – It was sad. I had no one to relive my trip with as I made the journey back to the airport. While at Disney’s Hollywood Studios my friends made me ride the Twilight Zone Tower of Terror for my first time. Over the years I have heard the screams from the tower many times and always passed on the riding this attraction. But with a Fast Pass+ time, we entered the queue, and I will admit, I was a little scared of what was ahead of me. To make matters worse, half of the Tower was having electrical problems, so we had to wait for them to evacuate one of the towers, of course I was getting a little nervous – what if that happened to us?! While we waited we had our picture taken with four Bellhops before our climb to the top of the tower. The actual ride was not as bad as I had imagined, and I survived the multiple drops of Tower of Terror… and yes I will ride it again! What a weekend! 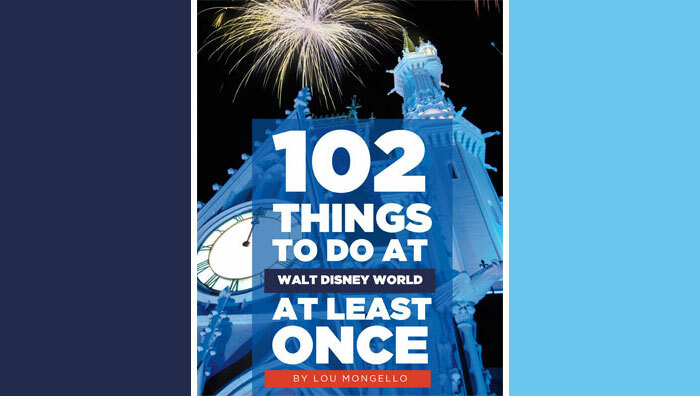 Not only did I run 22.4 miles around Walt Disney World Resort, but I managed to check 22 things off of my “Things I’ve Never Done at Disney World” list. 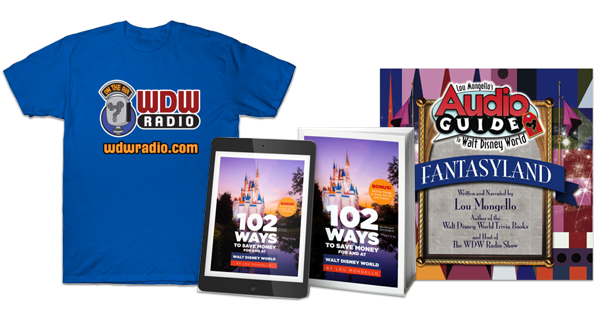 Many thanks to Jennalyn, Mandy and Stephanie, along with friends from the WDW Radio Running Team for helping me accomplish so much in four days! Over the years I have enjoyed a lot of “firsts,” like new attraction openings, new resorts, new parks, the list is endless. And with so many new experiences yet to explore and enjoy at Walt Disney World Resort, I’m sure I will be adding to my list on each trip. What have you recently experienced that some people do all the time? Please share in the comments below! Have fun, life is short, enjoy the magic of today and keep adding to your “first” time list!